Genevieve LeMoine, Curator of the Peary-MacMillan Arctic Museum, spent the summer of 2016 at Etah, Northwest Greenland, excavating Thule and Late Dorset archaeology sites. She and her collaborators hoped to uncover clues about what happened to the Dorset people who lived in the area around 1200 or 1300 AD. The rare multi-component site they investigated is in danger of being eroded by rising sea levels due to global warming. Dr. LeMoine, who posted updates on Twitter using a satellite messenger service, will talk about her team's discoveries and reflect on how fieldwork has changed one hundred years after Donald MacMillan was in the area trying to communicate with the world using an early radio. Sponsored by the Peary-MacMillan Arctic Museum and Arctic Studies Center. The Arctic is vitally important to Canada, making up sixty-eight percent of its coastline and playing a central role in its identity as a northern country. The loss of summer sea ice is opening the Northwest Passage to the commerce of which early explorers dreamed. The mythical qualities projected by questing Europeans have little resonance with those for whom the region is home. Rather, it is a known land, imbued with the rich spiritual connections that bind humans and animals within a single living landscape. Louie Porta explores whether or not a changing Arctic creates a grand if fleeting opportunity to chart a new course in Arctic conservation and economic development by fully engaging the indigenous peoples of northern Canada. Porta is Policy Director/Consultant for the Pew Charitable Trusts' Oceans North Canada Program. He has a master’s degree in resource and environmental management from Dalhousie University. He conducts interdisciplinary research in community-based resource management and co-management, community consultation practices in settled land claim areas, Arctic marine mammal and fisheries science/management, environmental assessment, and oil and gas rights issuance. Thor Sigfusson, Founder of the Iceland Ocean Cluster House, will discuss how to bring entrepreneurs together to create value in the maritime economy. The melting of the polar ice caps has opened up new economic potential in the Arctic Circle. But climate change and increased human activity have ecological impact. Tom Barry, fresh from the Arctic Council meeting in Portland, will discuss threats to Arctic biodiversity and how what happens in the Arctic has consequences around the globe, including here in Maine. Many people have heard of Alaskan villages that are in danger of disappearing as the coast erodes and the ocean rises. But few have actually traveled to any of these communities—until now. This 30-minute immersive audio walking tour will transport you from the streets of Portland to the remote coastal village of Shaktoolik, Alaska. You'll be able to walk its one road, meet people who live there, and feel what life is like on the frontier of climate change. This presentation focuses on the applications of satellite imaging technologies in mapping both anthropogenic and naturally occurring landscape shifts across Iceland.  This presentation will review the issues and opportunities surrounding tourism in both Maine and Iceland and discuss approaches, projects and resources from each place that could potentially help both create more sustainable tourism industries. On Monday 9/26 Dr. Rannveig Ólafsdóttir and Dr. Anna Dóra Sæþórsdóttirr of the University of Iceland will be joining in this presentation! Join us for a quick tour of an interactive digital maps of the landscapes, politics, people and infrastructure of Iceland. This half-day symposium, in partnership with the Marine and Oceanographic Technology Network, will focus on developing industry and other standards for arctic and high latitude operations. The keynote presentation will be given by Captain Andrew Norris, U.S. Coast Guard retiree and Professor of Maritime Security at the U.S. Naval War College, and will be followed by three panel discussions. Complimentary lunch will be served. A science symposium for Arctic Council participants highlighting the connections between Alaska and the Northeast U.S. provided by the Arctic Ocean. Using the resources and context unique to the state, the New England Ocean Cluster (NEOC) promotes dynamic networks and relationships among businesses and entrepreneurs in the marine industry to collectively drive new ideas forward and surface opportunities for collaboration. Through stronger networks and cooperation, the NEOC aims to increase the cluster`s competitiveness on a global scale. Learning the Arctic Way; Public Health in Iceland with Masters in Public Health Students. Students in the Masters of Public Health program talk about their experience learning in Iceland. Evelyn will share her personal traveling experience including tips and tidbits on traveling around Iceland using the network of 35 (very different) Hosteling International hostels. The Conference will address challenges and opportunities for Arctic science, business, shipping, security, and governance. The Ocean & Coastal Law Journal of the University of Maine School of Law will publish an accompanying Symposium issue and the conference proceedings. This full-day Arctic Conference is open to the public. The cost to attend is $45 per person. Registration fee includes the full-day conference with buffet luncheon and networking reception. Advance online registration will close on Thursday, September 29th. Hosted by University of Southern Maine, University of Maine School of Law, and Pierce Atwood LLP, the event is sponsored by Maine and Alaska’s Arctic Council Host Committees and will feature Maine experts from the Climate Change Institute – University of Maine, Bigelow Laboratory for Ocean Sciences, as well as special guests from the Arctic Council U.S. Delegation, Arctic Economic Council, and the State of Alaska. The program will include a special session on the Arctic Council and U.S. Chairmanship. A showcase of Maine-Arctic science, education, and cultural initiatives will be on display in the Abromson Center and adjoining classrooms. Participants will have an opportunity to network during the buffet luncheon and the closing reception at the USM Osher Map Library with a special exhibit on the History of Maps of the Northwest Passage. The Arctic is now experiencing abrupt and dramatic climate change with impacts throughout the Northern Hemisphere. To foster adaptation and resilience in the face of such change requires climate perspective and plausible scenario-based climate prediction. The Public Order of the Arctic is an accretion of claims and agreements by States, non-states, and intergovernmental organizations implicating security, the environment, trade, resources, and indigenous peoples. This panel will appraise trends, decisions, and outcomes that are shaping the Public Order of the Arctic. The harsh Arctic environment necessitates special measures and regulations to insure the safety of mariners and to protect the marine and coastal environments. This panel will review mechanisms, regulations, and national and international laws designed to ensure mariner safety and marine environmental protection. The Arctic Economic Council is an independent organization founded in 2014 that facilitates Arctic business-to-business activities and responsible economic development. It is the primary forum for interaction between the Arctic Council and the wider circumpolar business community. This session will provide an overview of the AEC’s work developing opportunities in marine transportation, telecommunications and broadband infrastructure, responsible resource development,and Arctic stewardship. A gallery exhibition featuring images from the Arctic series by Shoshannah White, large black-and-white photographs by Billie Mandle, and mixed media canvases by Laura Duerwald. Show runs from October 1st - 31st. THE MAINE ARCTIC SPEAKER SERIES IS CO-PRESENTED BY PORTLAND PUBLIC LIBRARY AND UNIVERSITY OF NEW ENGLAND, AND IS INTENDED TO HIGHLIGHT THE REMARKABLE GATHERING OF WORLD LEADERS IN PORTLAND FOR THE ARCTIC COUNCIL MEETING. PLEASE JOIN US TO LEARN MORE ABOUT THIS IMPORTANT TOPIC. Osher map Library opens an exhibit on the History of maps of the Northwest Passage. Exhibit will be open during regular museum hours. Parking is available in USMs parking garage. ICELANDx207 is a multi-media project, by artist and photographer Justin Levesque, documenting Iceland’s recent entry into the Maine waterfront and economy. At its core, the project is focused to create portraits of Icelanders in Maine, capture the revitalized and bustling International Marine Terminal (Portland, ME) and chronicle a nine-day self-created artist residency from Portland, ME to Reykjavík aboard an Eimskip container ship. The culmination of this project will be exhibited in conjunction with the 2016 Arctic Council meetings hosted by the Maine North Atlantic Development Office in Portland, Maine (Oct. 4-6, 2016) and will be on view from September 27-October 12, 2016. Margaret Williams, Managing Director of the World Wildlife Fund's Arctic Program, will discuss the challenges facing the Arctic region, including increased ship traffic, development projects, human-animal conflicts, and global warming - all taking place in an international arena. In her talk she will address some of these challenges, as well as the opportunities they present. Sponsored by the World Wildlife Fund and the Peary-MacMillan Arctic Museum and Arctic Studies Center. Dr. Rannveig Ólafsdóttir and Dr. Anna Dóra Sæþórsdóttir of the University of Iceland explore the impact of tourism on the environment and how to remain sustainable in a tourism economy. A reception will precede the lecture. Presentations start at 5:30pm. Robert A. Bartlett, a famous Newfoundland ship captain and master ice navigator, spent his career plying ice-laden waters around the North Atlantic and Alaska. He knew how to work with ice, pushing it aside, crashing or dynamiting a path through it, and using it to protect his vessels from icebergs. He transported explorers, scientists, cinematographers, and adventures north, and during World War II his vessel, Effie Morrissey, was part of the US fleet working in the North Atlantic. This exhibit will feature photographs taken on many of his voyages. Evelyn will share her personal traveling experience including tips and tidbits on traveling around Iceland using the network of 35 (very different) Hostelling International hostels. Levesque describes Eimskip`s Green Line as the invisible thread that connects our two cities, countries, cultures and economies. That experience was recorded in a nine episode podcast that provides a glimpse inside the ship and from the seafarers who spend their lives dedicated to the work found at sea. This exhibition features documents never before seen by the public relating to the drifting and sinking of the Karluk, and the amazing rescue of many of its passengers. On August 3, 1913, the Karluk, carrying members of the Canadian Arctic Expedition, headed east when it was caught in thick ice off the north coast of Alaska. In late September the ice moved, carrying the vessel north and west -away from the American continent. The Karluk and the 25 people on board remained locked in the ice for five months before the vessel sank. The ship's captain, Robert A. Bartlett, documented the ship's drift and sinking, the desperate walk across the ice to Wrangell Island, as well as the heroic walk to and down the coast of Siberia in search of help. The documents are reunited here for the first time, having been scattered for nearly one hundred years. Birds inspire Inuit artists in many ways. Some artists evoke birds’ beautiful plumage and graceful flight through carefully rendered details. Others focus on birds’ more abstract importance as powerful shamans’ helpers and as key characters in myths and legends. The sculptures and prints in this exhibit, featuring the work of Canadian and Alaskan Inuit artists, explore these different approaches to birds in Inuit art. Funded by the Russell and Janet Doubleday Endowment. Donald MacMillan led an Arctic expedition to claim “Crocker Land,” a distant landmass that Robert Peary sighted in the Polar Sea. MacMillan determined Crocker Land was a mirage. He and his colleagues spent the next four years investigating the natural history of northwest Greenland and the Canadian high Arctic. The exhibit features their scientific work and present-day research in the same region. Funded by the Russell and Janet Doubleday Endowment, Kane Lodge Foundation, Inc., Gibbons Summer Research Internship Fund, Bowdoin IT Mobile App Development Program, and Post Grape-Nuts. As a pioneering Arctic explorer, Peary relied on many extraordinary people, including his family, financial backers, loyal expedition members, and the Inughuit men and women of Northwest Greenland. He also worked ceaselessly to improve his methods of travel and his equipment, always keeping in mind efficiency on the trail and the comfort and safety of his men. Through objects, photographs, and motion pictures, this exhibit provides new perspectives on Peary and his long career.